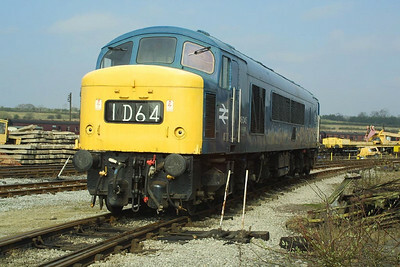 46045 is stabled on Swanwick Jnct TMD at 1222 on Saturday 5th April 2003. 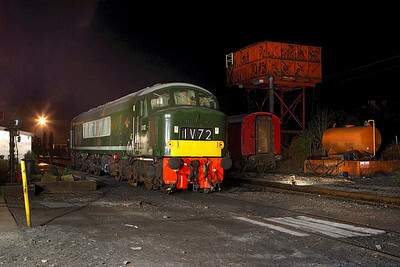 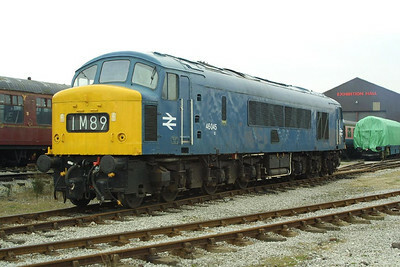 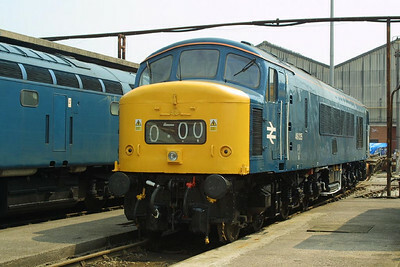 46035 is pictured at Crewe Works on 31/05/2003 during the 'Return of the Legends' Open Weekend. 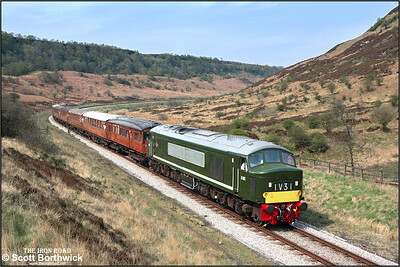 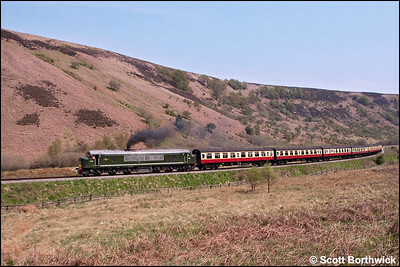 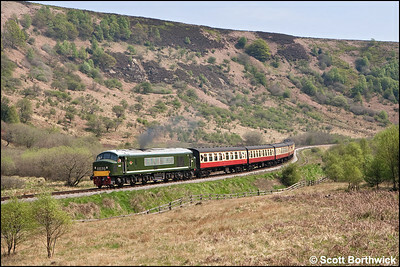 D182 (46045) hauls 2P07 1230 Grosmont-Pickering through Newtondale passing Raper's Farm on 09/05/2008. 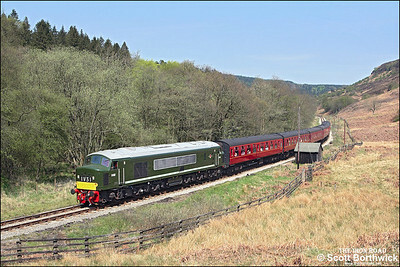 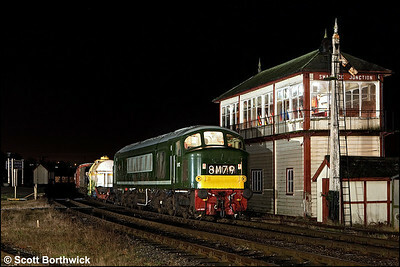 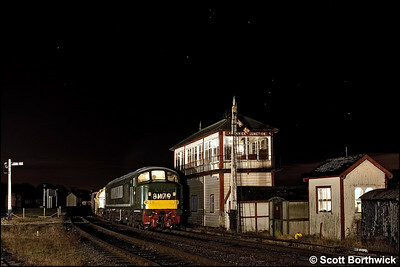 D182 (46045) passes Carter's House with 2P73 1500 Grosmont-Pickering on 10/05/2008.